We provide industry leading concrete leveling services to fix uneven or cracked concrete surfaces. Concrete leveling requires the use of self-leveling cement, and is usually done in one day. Once the leveling is complete and dry, than the flooring installation can begin. When putting down hardwood floors, laminate, or engineered plank floors, the concrete subfloor must be nearly perfectly flat to avoid expensive floor failure not covered by floor manufacturer warranties. 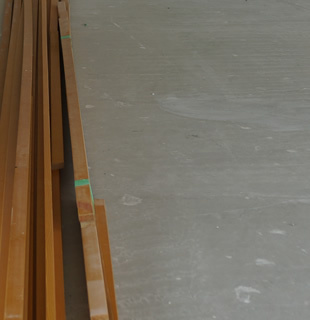 Leveling is also not limited to concrete, when plywood subfloors are no longer flat, they also need to be levelled prior to floor installation. We also offer concrete grinding services, for commercial projects where large concrete imperfections need to be corrected.